LIGHT IN A DARK HOUSE is the fourth in the Detective Kimmo Joentaa series set in Finland. Kimmo is a widower of a few years now and still coming to terms with his wife's death. In the previous book, THE WINTER OF THE LIONS, a young woman takes up residence in his house - and she is still there. They have a relationship of sorts even though he does not know her real name. “Larissa” is a part-time kiosk attendant as well as a prostitute and in the other-worldly feel to this series, Kimmo's strange set-up doesn't seems remarkable. Kimmo and his colleagues are called to the hospital (the one where Kimmo's wife died) to investigate the death of a woman in a coma. The woman's identity is unknown despite appeals, however someone cried tears over her as they turned the life-support off. In addition to this investigation Kimmo has to cope with the disappearance of Larissa. A murder in the capital sees the return of Helsinki detective Westerberg from THE WINTER OF THE LIONS along with his young sidekick Seppo who provide some humorous exchanges. Eventually the two investigation threads collide and Kimmo joins Westerberg and Seppo in rooting out the cause of the recent deaths which stems from events some decades ago. During the course of the book, Kimmo waits for the return of Larissa. She occasionally responds to his emails with useful tips for the case – though it is never made clear how she has this information or whether its intuition. There are also extracts from a diary which reveal what happened those many years ago and provides a motive for the current day's events. A new book from Jan Costin Wagner is always to be welcomed and I enjoyed this one very much. Part cold-case enquiry, part police-procedural this entry is perhaps a more traditional crime novel than the earlier books, but still with that unreal quality about it; the plot keeps the reader interested and at times wrong-footed. Kimmo is starting to look outside his own grief – shown by his concern for Larissa and for that of a gambling-addict colleague – and I look forward to the next book to see how he's getting on. 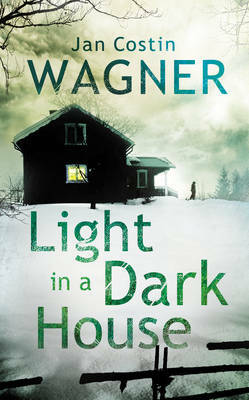 Read another review of LIGHT IN A DARK HOUSE. An excellent review, Karen, for which thanks. Somehow, with this series, it's not hard to suspend disbelief just a bit. I think you used a great term: 'other-worldly feel.' In some books, that gets to me, but not in this series.